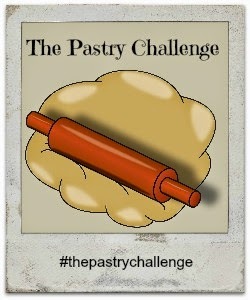 As April comes to an end so does my first month of hosting The Pastry Challenge! It was fun seeing the entries that came in. I was impressed by the skill and creativity of the entries for this month's theme chocolate. Chocolate is one of the most common ingredients used in baking. As it pairs so well with other flavors it makes it a great addition to any bake! Enough of me rambling let's have a look at the delicious creations that this month's Pastry Challenge has brought us! 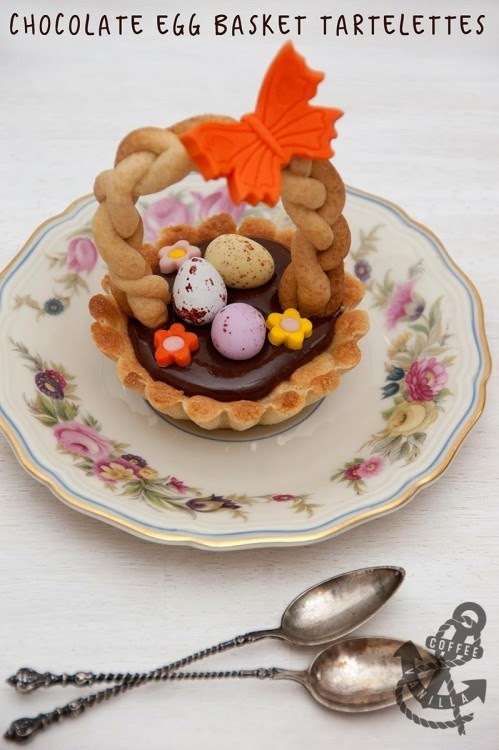 As Easter was at the beginning of the month our first entry really celebrated the holiday with these amazing Chocolate Egg Basket Tartelettes. I am so impressed with the skill involved. Go check out Margot Dolewska Dyer’s site Coffee and Vanilla for more of her amazing creations! 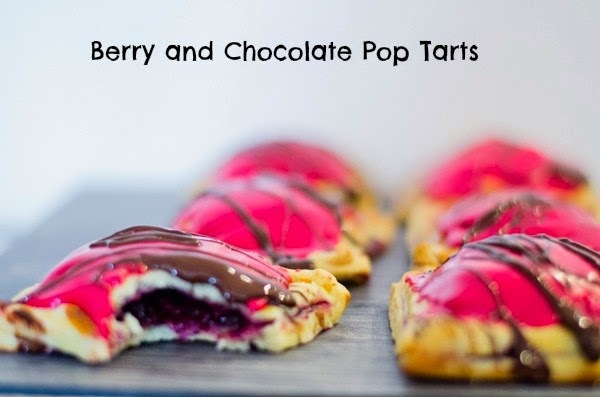 Then we had a very colorful and fun entry with Nazima Pathan’s Homemade Berry and Chocolate Pop Tarts! She blogs over on FranglaisKitchen where there are plenty more recipes like these to inspire you! I know they have inspired me! 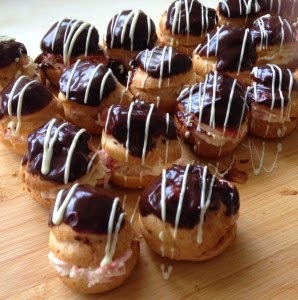 My co-host Jen at Jen’s Food had a go with choux pastry and made these impressive Chocolate Religieuses! She says she’s frozen some so planning to head over one day soon to have a taste! 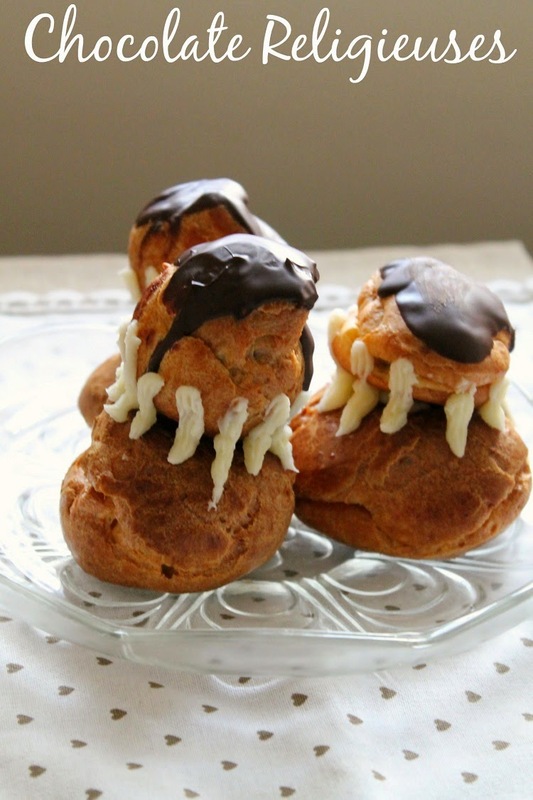 Then entering just at the end was Xi from Where Baking andScience Come Together with her Choux a la crème or as we more commonly know them, profiteroles. They look delicious with that dark chocolate glaze! And last but not least check out my Double ChocolateStrawberry Mini Tarts! Be sure to visit Jen’s site in May for the new theme and linky post!! I hope you can all join us as we continue our pastry journey’s! What a fine gaggle of pastry bakes. I will try and take part as often as I can - pastry isn't something I bake with an awful lot - but when I do I will make sure to link up!